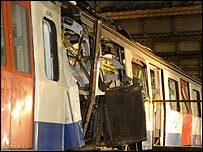 A rescue hero from the 7 July bomb attacks on London said he was "absolutely gobsmacked" to be made an MBE in the New Year Honours list. Peter Sanders, 57, of Chelmsford, Essex, helped the injured in the Piccadilly Line blast. Mr Sanders, King's Cross group station manager, said that "all my staff on that day were heroes". Tube driver John Boyle, of South Ockendon, Essex, who helped rescue injured passengers, also became an MBE. "I was just doing my job," said grandfather Mr Boyle, 48. Knighthoods went to Prof Ivor Crewe, vice-chancellor of Essex University, and Roger Singleton, the former chief executive of the charity Barnardo's, who lives in Braintree. Former Essex Chief Constable David Stevens becomes a CBE, and Frank Keenan, ex-head of St Thomas More High School for Boys in Westcliffe, is made an OBE for services to education. Charlie Caisey, 75, of Hornchurch, honorary secretary of the London Fish and Poultry Retailers' Association, becomes an MBE for services to fishmongering. Now officially retired, he teaches young recruits to the industry at Billingsgate. Anna Patricia Lucy Hassan. Headteacher, Millfields Community School, Hackney, London. For services to education. Thomas Charles Carne. Chief Advisory Accountant, Solicitor's Office, HM Revenue and Customs. Nicholas Patrick Bracken. Detective Chief Superintendent, British Transport Police. For services to the Police; Janet Ann Farenden. Deputy head of branch, Private Funding Regulation Branch, Department for Constitutional Affairs; Prof Francoise Jane Hampson. Professor of Law, University of Essex. For services to international law and to human rights; Michael Long. HR Reward Specialist, HM Treasury; Rhiannedd Pratley. Formerly Executive Wales, Basic Skills Agency. For services to education in Wales. Gillian Barratt. Railway Inspectorate Contacts Officer, HM Railway Inspectorate, Health and Safety Executive; George Bowers. Vice-President, Schools Amateur Boxing Association. For services to sport; Norman Ralph Eastbrook. For services to music and to the community in Essex; Councillor Yash Pall Gupta. Formerly member, Thurrock Borough Council and Thurrock Thames Gateway Development Board. For services to the community in Essex. Patricia Clare Hindley. Grade C, Olympic Games Unit, Department for Culture, Media and Sport; Glen William McMunn. Inspector, British Transport Police. For services to the community in London; Nigel Oldacre. For services to Neighbourhood Watch in Essex; Ellen Player. Foster Carer, Essex County Council. For services to Children and families; Veronica Robinson. For services to Animal Welfare. Richard Jenkyn Walters. Librarian, Records and Information Openness Team, Information Services Division, Department for Education and Skills; Melvyn Weinberg. Formerly Executive Marketing director, Jewish Chronicle. 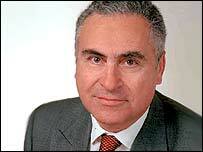 For services to the newspaper Industry; Dennis Widdick. For services to the Royal British Legion in Braintree, Essex.